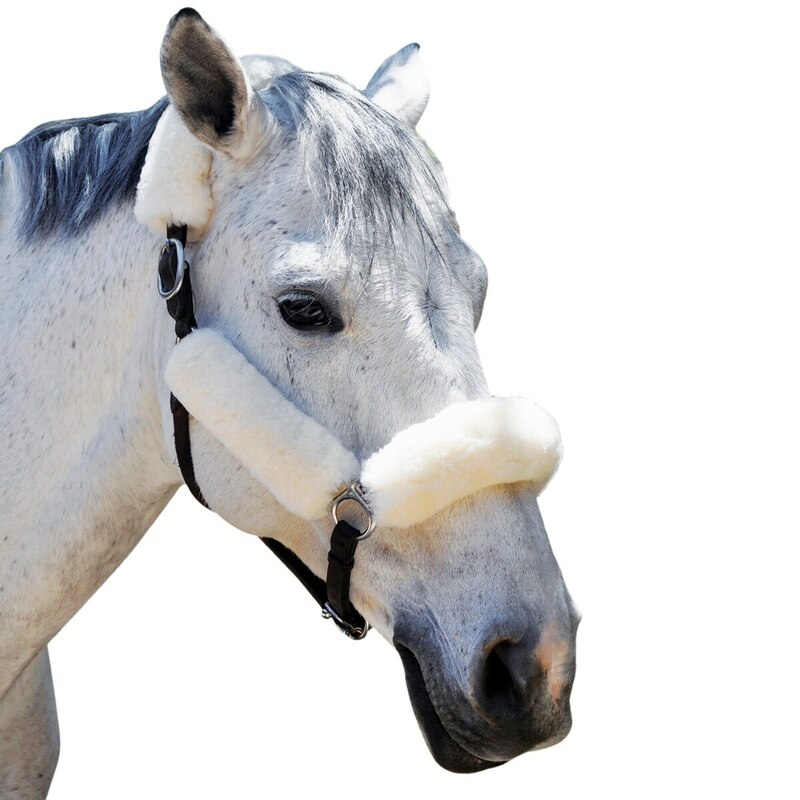 The Equine Comfort Halter Fleece Set provides exceptional comfort for your exceptional horse. 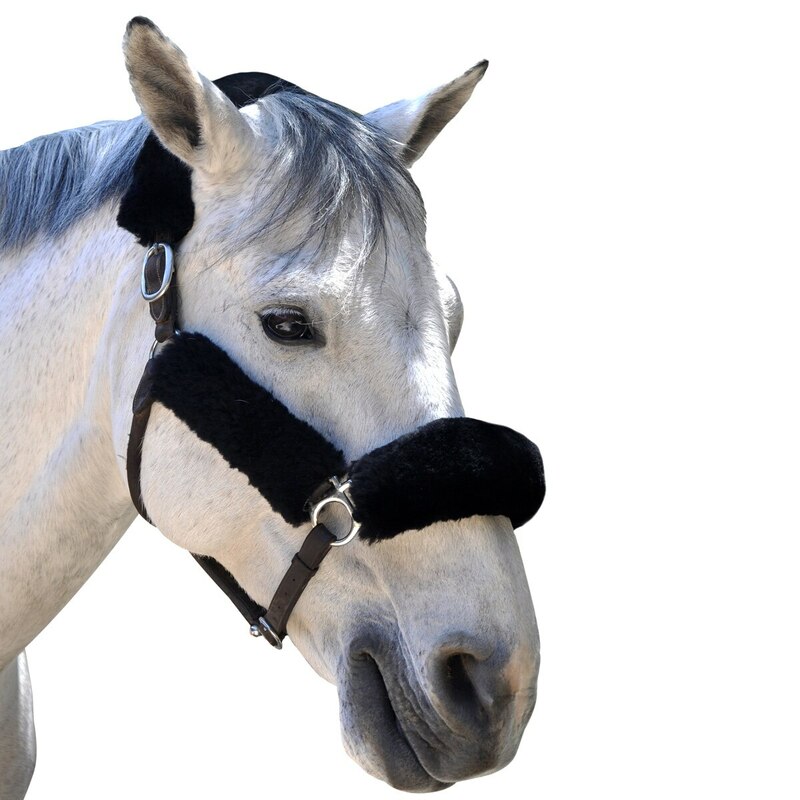 A great addition to your halter for at home to prevent rubs or while trailering for added protection in the trailer! These sets are 100% Merino sheepskin. Available in Cream & Black. • Great for the barn & traveling! The Bell Boot is made of lightweight waterproof foam with a durable Everleather covering. It has double hook and loop closure to insure a secure fit. The Bell Boot features a rolled top fleece edge that prevents rubs. 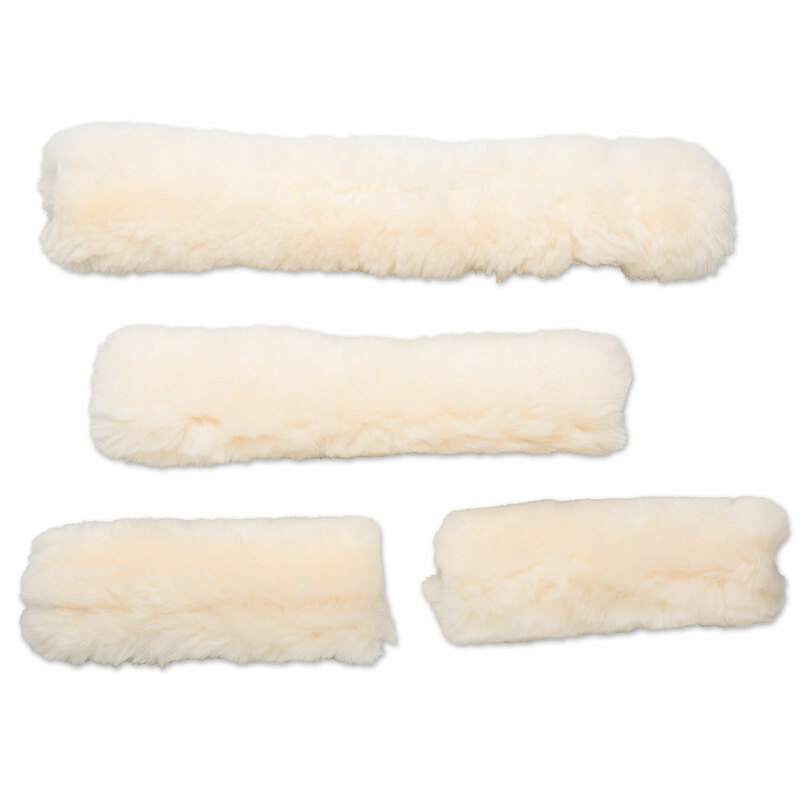 Equine Comfort Sheepskin Halter Fleece Set- 4 piece is rated 5.0 out of 5 by 4. Rated 5 out of 5 by KarleeTuohy from Perfect! Just what I asked for I bought this at my local tack store. Its everything I asked for. The coverage is perfect and the materials are nice and comfortable. I’m so jealous my horse is getting this. Rated 5 out of 5 by SPedersen from Just what I expected, well made I bought fleece halter covers for shipping to help reduce rubs/increase comfort. These are well made, fit on easily - they are just what I wanted/expected! Rated 5 out of 5 by SeaRider from So soft and easy to use Bought these for shipping. Easily attached to his halter, and the velcro is very strong. Super soft and plush.